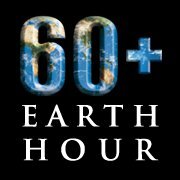 Last year, Earth Hour was an understand event as far as I remember, due to the fact that I had a stinking cold and a mind filled with equations and ocean current charts, but like many millions of people around the world I took part. At 8:30 pm GMT, on 27th March 2010, I closed the textbooks, shut down the computer, switched off the lights, wrapped up warm and stepped out into the cool evening air. In my ill state that may for not have been the best idea in the world, but I wanted to watch the lights from across the river. At the bottom of the garden beside a willow tree and two tall poplars is a simple wooden bench looking out across the marshland fields and the river Yare beyond. On the opposite bank lies the small town of Reedham, with its lights stretching out before me, each twinkling and dancing slightly as I sat down. To the right lies Lowestoft, not visible directly, but recognisable with it’s familiar dull orange glow on the horizon, an ugly smear on the horizan. So there I sat, watching, with only a light breeze and the rustling leaves for company, waiting for 8.30pm to strike. I watched with satisfaction as houses began to go black, the horizon darkening. Some stubbornly remained on, but it was honestly more than I was expecting. Perhaps they forgot, perhaps they hadn’t heard, or perhaps they simply didn’t care, although I sincerely hoped that wasn’t the case. I looked over toward Lowestoft and although I was not 100% sure, I thought that the neon glow had faded somewhat, but it may have just been my imagination. Either way, the sky was clearer than I had ever seen it, and so I turned my attention to the heavens, and gazed up at the starry blackness above. This was why I was here, to look up at the shimmering darkness and reflect. No big events, nothing particularly note worth, simply to pause, think and reflect. No more, no less. So why do this? Why switch off the lights and take part in this movement when so many others will not? I suppose it really comes down to the reason I started my journey as a young scientist in the first place. It’s very easy to be swept up the sceptical cynicism when it comes to the state of our world. Looking at the news is usually a depressing experience, with stories of war, suffering and environmental decay, and that’s only the stuff we hear about. Dig a little deeper and it’s a wonder any of us bother at all, so the fact that so many people choose to ignore things, or dismiss these problems is hardly surprising. In some cases, it’s simply a form of escapism. Nothing we can do so let’s just bury our heads in the sand. It’s for that reason that I believe that events like Earth Hour can be so powerful. Seeing all of those lights go off, especially in a large city, has an immediate, visual impact, one that is impossible to ignore. It shows that you are not alone in this fight, that there are others around you that care about the state of our planet, whether it be from the perspective of climate change or simply that they don’t want to see the green spaces, that are becoming so rare is some areas, disappear because of our steady and relentless expansion. I have met people with a range of different perspectives, views and ideologies, that were deeply moved by previous Earth Hour’s, which is why I want to support it. There aren’t many movements that affect such a wide scope of people, and as its influence spreads that effect is growing with it. The reason I decided to become a scientist is because of the desire to protect our nature surroundings and to gain a better understanding of them, not because I think that I personally will revolutionise the field and come up with the next big idea, but because I want to conserve what we have, what we are losing. It isn’t a grand aim, just one that I feel very strongly about. A friend once told me of an old Native American proverb which I believe sums this view up nicely. It is a simple things, perhaps to idealistic for some, but I hope that it will, in one way or another make a difference, even if it simply makes people pause and think for a moment about the world that they inhabit but so rarely give an thought too. As for me, like last year, at 8:30pm tonight, I will open the doors of a darkened house, step into the garden and watch the lights from across the river and hope that this year all of them will go out. It has been two weeks since a 8.9 magnitude earthquake and tsunami hit Japan, and still the stories continue to roll in, with many serious situations still ongoing. So much has happened over these two weeks, it seems appropriate to reflect and take stock. The official rescue mission may have ended but the clean up operation has only just begun, with some areas still largely cut off from the outside world. The photographs captured by journalists, locals and rescue workers are still shocking, and give a small insight into the force that was unleashed on the small communities around Sendai. The cost of the clean is staggering too. Although the International Monetary Fund (IMF) has said it believes Japan’s economy is strong enough to afford the cost of rebuilding, the Japanese government has estimate that it will need at least $309bn (£191.8bn). Add to that the cost to insurers and the ongoing Fukushima nuclear power station crisis, that number is expected to rise. The monetary impact is nothing compared to the human cost however. As of 25th March, the death toll had passed 10,000, with the further 17,000 missing. A further 250,000 people are living in temporary accommodation. In the midst of all of the destruction there have been amazing stories of survival. One in particularly moving account was of Sumi Abe, 80, and her grandson Jin Abe, 16, who were trapped in the kitchen when their two-storey house collapsed around them in the devastated coastal city of Ishinomaki. They survived for nine days on the contents of the fridge, mainly consisting of yogurt, bread, Coca-Cola and water. Jin stayed close to his grandmother to keep her warm and was eventually able climbed through a small hole on to the collapsed roof of the building and shouted for help. He was heard by passing police officers who called a rescue team. After 45 minutes removing debris they reached the kitchen, where they found the elderly woman lying on top of a fallen cupboard and wrapped in blankets. She broke down in tears when rescuers reached her. The main headline since the earthquake has of course been the ongoing crisis at the Fukushima nuclear power station. The situations has eased since the initial disaster, with the restoration of power and lowering of the cores temperature, so progress is being made, but many serious issues remain. Temperatures and pressures within some of the reactor containment vessels are still well above the intended levels, with number 1 reactor building at an estimated 390-400 degrees C, against an ideal operating value of 138 degrees C. These problems have also been compounded by the news this morning that a suspected break in the core of one of the reactors could have been responsible for a leak of large amounts of radioactive material. Officials have also said seawater outside one of the units has registered 1,250 the normal level of radiation, while efforts are under way to pump radioactive water that has pooled around the reactor turbines into safe storage. The BBC has reported that short-term radioactive iodine has been detected at very high levels in the Pacific Ocean near the plant. This, along with reports of infected water and food supplies around the plant, have only added to the fears of the long term effect of the crisis. As was pointed out by the BBC’s environment correspondent, Richard Black, however, it is too early to draw any long term conclusions about the fate of the plant and the surrounding area. It’s important to point out a couple of things here. Firstly, nothing definitive can yet be said about the sequence of events at the plant, nor about the response of Tepco employees in the critical early hours. And it is certainly too early to make a comprehensive assessment of the health impacts. With the Windscale reactor fire of 1957 – like Fukushima, rated Level Five on the International Nuclear and Radiological Event Scale (INES) – the health consequences were still being assessed four years ago, on its 50th anniversary. Fukushima will not take half a century to analyse because the facility has a civilian rather than a military purpose, because monitoring and knowledge of nuclear processes are far higher now than in 1957, and because the Japanese population is not likely to stand for it. But at the moment, information is being disinterred bit by bit – and a truly comprehensive picture will in all probability have to wait on the first official inquiry. He also points out that the Tokyo Electric Power Company (Tepco), that owns the Fukushima plant has, after heavy worldwide criticism about honesty and openness, started to giving regular updates about the engineering teams progress and the dangers involved, although whether these have been voluntarily or because of pressure from the government – who have also been heavily criticised – is unclear. Regardless, the debate about the viability and need for nuclear power around the world has once again been raised, with both environmental organisations and governments both looking into the implications of Fukushima. This is significant as more countries are beginning to make a big effort of lessening their reliance on fossil fuels, with nuclear power being one of the alternatives. France, for example, relies heavily on nuclear power for their low-carbon electricity, and Finland and the UK have, at least, committed to a partially nuclear future. Potentialy, if no other plants were built, the shortfall could be made up from other forms of renewable energy, but the real question is whether it is politically feasible. Considering the way that these things have been talked about over recent years is seems unlikely to change unless the debate develops. In the mean time, it is worth looking at the how to better regulate and, if necessary upgrade, these facilities in areas that have these sorts of risks associated with them, and perhaps even further afield. 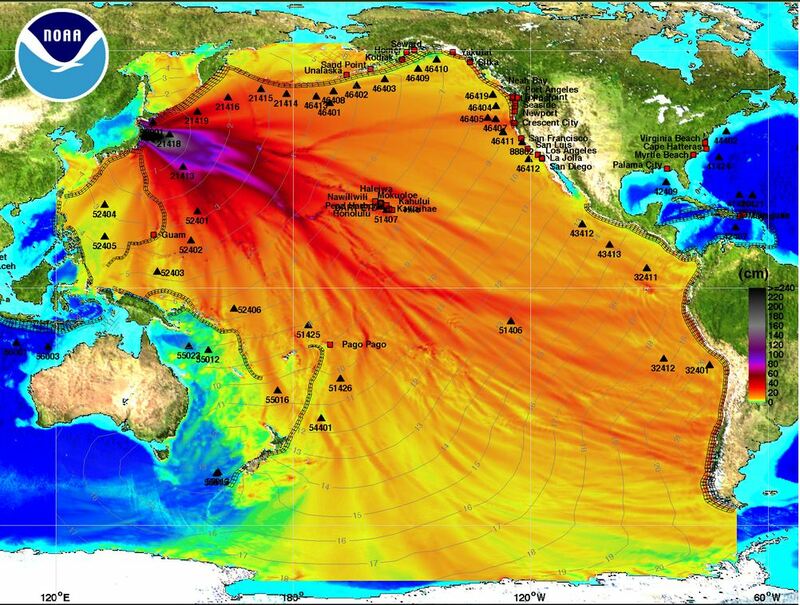 Fukushima is over 40 years old after all, and although it was designed to withstand earthquakes, it was not designed with tsunamis in mind. If it had been, then this crisis may not have happened, or at least, may not have been so serious, so upgrading other plants in similar settings and situations does seem prudent. It is yet another aspect to this this situations that will be debated and looked into for many years to come, so the overall remifications are still a long way off. Hopefully the situation in Japan is now beginning to improve, although that will of course be little comfort to the people that have lost loved ones or have been displaced as their homes were washed away. As the clean up begins in earnest, and with the debates and arguments begin to pick up pace, it will take a long time for things to return to normal. And for many, that will never happen at all. 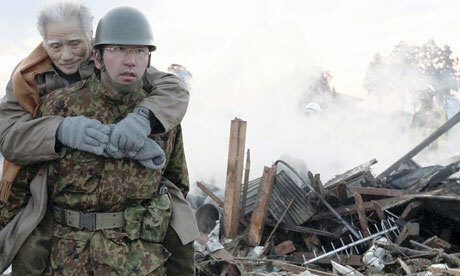 On the 11th March, a 9.0 earthquake struck off the north-east coast of Japan, 130 kilometres (80 miles) from Sendai. 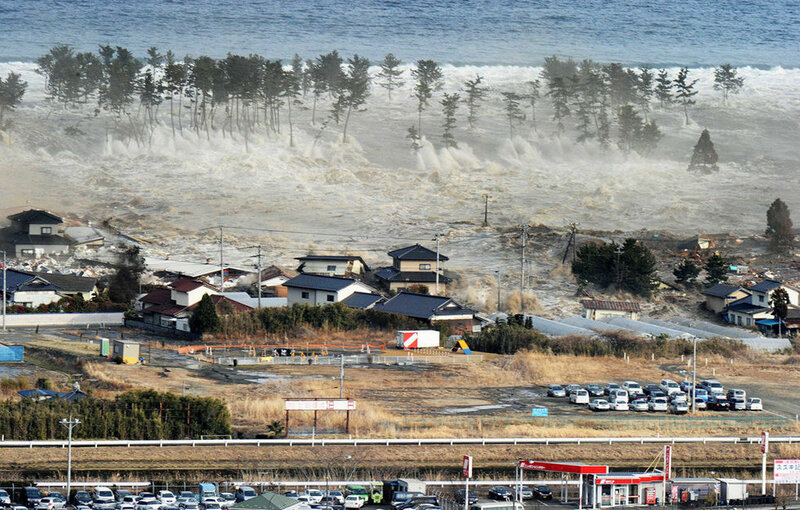 The quake was the largest in recorded history in Japan and the tsunami that was created devastating much of the surrounding countryside. Even after three days of hard work by rescue workers the full destruction and horrors of the Japan earthquake is only now becoming clear. 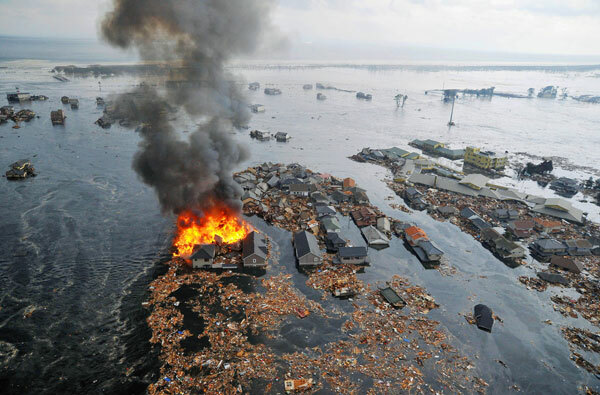 As the wall of water of the tsunami began to engulf the land all but the most solid structures were carried away. Cars, boats and peoples homes were all washed away, along with anyone that had not reached safety in time, or were unable to do so. Such was the force of the wave that some coastal villages simply disappeared. She had rushed to help them as soon as the earthquake struck about 30 minutes earlier. “I closed my shop and drove home as quickly as I could,” said Watanabe. “But there wasn’t time to save them. They were old and too weak to walk so I couldn’t get them in the car in time. They were still in the living room when the surge hit. Though she gripped their wrinkled hands, it was too strong. Her elderly mother and father were ripped from her grasp, screaming “I can’t breathe” before they were dragged down. The USGS reported that since the initial quake over 250 aftershocks had been detected, with 30 of those in excess of magnitude 6. As rescue teams from more than 70 countries and tens of thousands of Japanese troops descended on the disaster zone, meteorological agency officials warned there was a 70% chance of a magnitude 7.0 earthquake striking the region in the next three days, so the threat of further seismic shifts and tsunami are far from over. 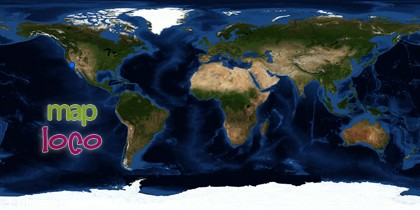 New Scientist have provided an interactive map to illustrate Japan’s seismic history. One of the main concerns that have come to light as a result of the quake is the growing nuclear crisis. It was reported on Friday 11th March that the Tokyo Electric Power Company’s Fukushima-Daiichi nuclear power plant, 240km (150 miles) north of Tokyo, had been damaged causing the cooling system that regulated the temperature of the fuel rods in the reactor core to shut-down. Despite efforts by engineers to replace and repair the system the makeshift attempt to cool the No 1 plant failed, leading to a build up of superheated water inside the chamber. 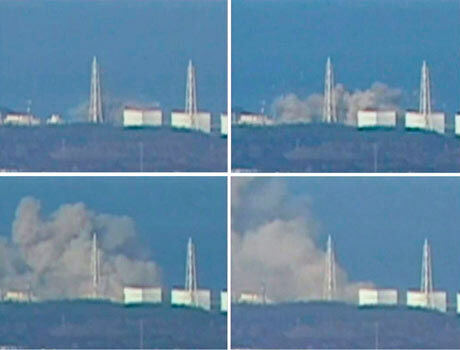 On Saturday, engineers released water vapour – which contained radioactive caesium and iodine – from the pressure vessel as an emergency measure, but it appears that hydrogen escaped during the venting procedure and exploded. 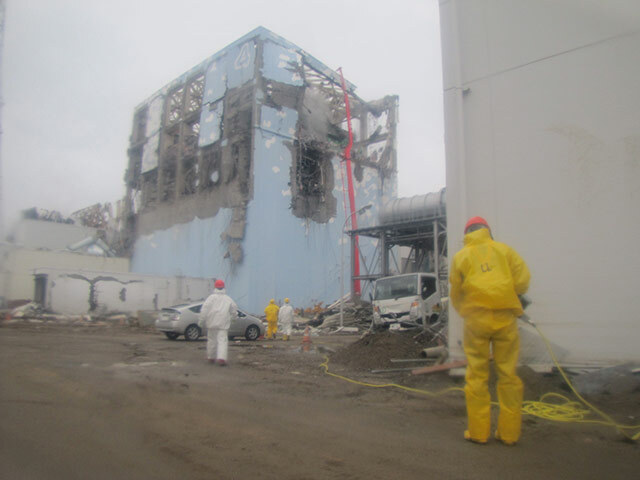 The blast damaged several nearby buildings and injured four workers, but thankfully, the explosion happened outside the reactor’s primary containment vessel, which appears to be intact. On Sunday, engineers vented water vapour from a second reactor at the power station and began pumping in sea water after the cooling system at the No 3 unit also failed. Japanese authorities said there was a risk of a similar explosion as happened in the first reactor. This strategy untested however and could take several days to bring the temperature and pressure of the reactor cores down to within safe limits. The biggest worry is that if the cooling fails, the reactors could overheat and cause a total meltdown of the radioactive fuel rods in the core if the reactor’s containment vessel was breached. Officials are also concerned that if there is another large aftershock, as mentioned above, it could further destabilise the plant. Because of the continuing danger, tens of thousands of local residents have been evacuated from the 20km exclusion area. The scale of this tragedy is hard to fathom, but to give an example of the sort of forces involved, NASA Jet Propulsion Laboratory’s (JPL) specialist Richard Gross, stated that the earthquake not only caused Japan to shift positive by 2.4 metres but that it had altered the Earth’s figure axis (the axis around which the Earth is balanced by mass) by about 15 centimetres – 2 times greater than after the Chilean earthquake of 2010. “According to my calculations, the length of the day should be reduced to 1.6 microseconds (millionths of a second). The earthquake in Chile gave, in my opinion, a reduction of approximately 1.2 microseconds,” he said. That may not sound like a lot but the fact that a single event can have an impact like that at all is staggering. There are to many stories to note in a single blog post, and more is being revealed all the time, so this is but the briefest of overviews. The power that was unleashed on the 11th March was humbling, but it is when you read the stories of personal tragedy and miraculous survival that the affects of this event really starts to sink in. These stories and photographs are heartbreaking, but the full horrors are impossible to imagine. So many families and communities have been torn apart and countless lives have been changed forever. Organizations such as the Red Cross have started up appeals to try and help the victims and I urge you to give what you can. More will be revealed as the days and weeks go on, and more quakes will be felt, so it will be up to the brave rescue services from around the world to try and save as many lives as possible, in the most difficult of circumstances. This blog focuses on the details behind the earthquake. I will add more information when it becomes available. At 1446 local time (0546 GMT), a massive earthquake with a magnitude 8.9, hit the north-east coast of Japan, near Sendai, Honshu. The epicentre was located some 130 km (80 miles) off the coast of Honshu and triggered 10 metre high tsunamis that has devastated the low lying countryside. 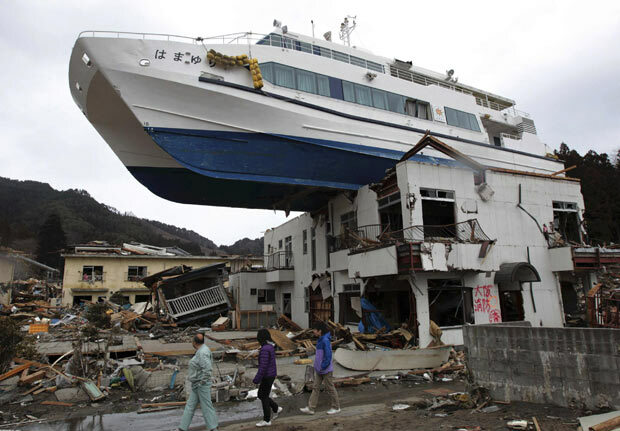 Footage from Japanese television have shown wide spread destruction as the tsunami swept through farmland, carrying away vehicles, ships and even buildings. Seismologists say it is one of the largest earthquakes to hit Japan since records began some 140 years ago and was of similar magnitude to the Chilean earthquake of February 27, 2010. 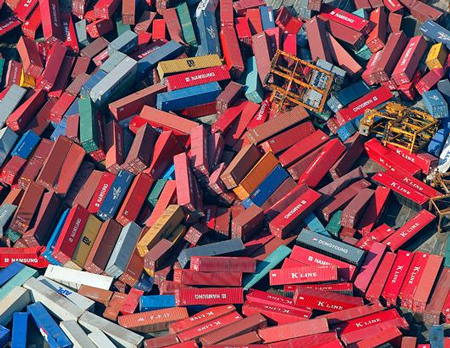 To put it into context it is also over 8,000 times the Christchurch earthquake last month (February 22 2010). Coastal areas of the Philippines, Hawaii and many of the small Pacific islands have been evacuated as tsunami warnings have been triggered over much of the Pacific region, with alerts as far as Russia, Alaska and South America. In the last few hours, New Zealand and Taiwan have both downgraded their tsunami warnings. It is hoped that this is an indication that the wave will not be as damaging as previously feared, although low lying Pacific islands are still thought to be at risk, according to the Red Cross. As of this blog entry, the death toll stands at 60, with many more missing. 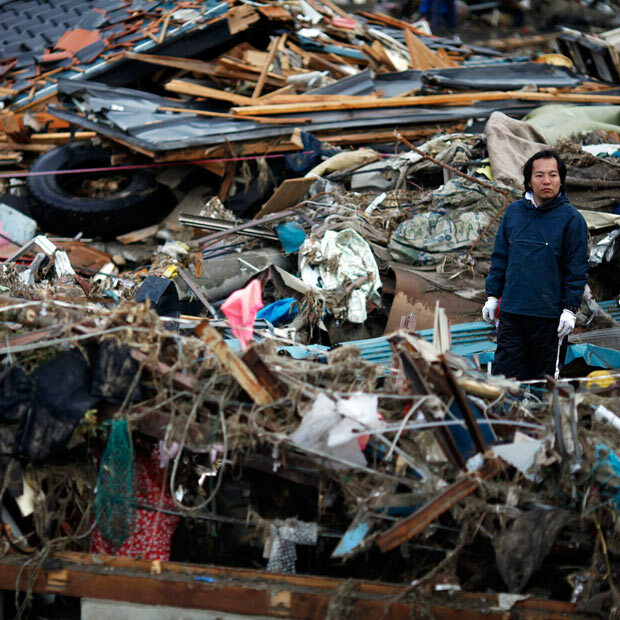 Edit (1658 GMT): 200-300 bodies have been in Sendai, the city closest to the epicentre. The death-toll is still unclear. A passenger train was missing in Miyagi prefecture, and a ship carrying 100 people was swept away, police told Japanese media, while in Kesennuma city in Miyagi prefecture, a fire is engulfing swathes of coastland, including homes and other buildings. 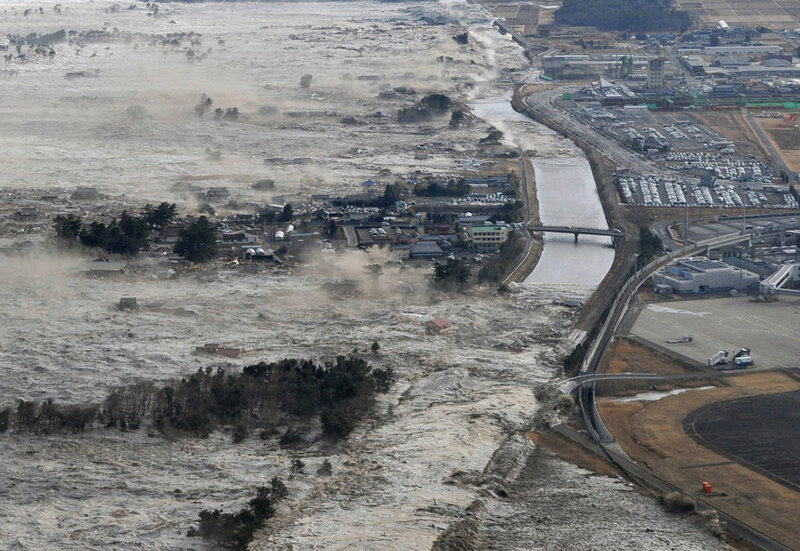 There are also reports that a dam burst in north-eastern Fukushima prefecture, sweeping away homes, Kyodo news agency reports. Another major issue that arose was from one of Japan’s meaning nuclear power plants. It was reported that the Tokyo Electric Power Company’s Fukushima-Daiichi nuclear power plant was leaking and that the surrounding area was becoming irradiated. This was later denied, but the problem remained. It was later confirmed by Japan’s trade minister that there was a problem with one of the reactor vessels, namely that pressure was still rising. The Tokyo Electric Power Co told Japanese news service Jiji News that they were “taking measures” to resolve the problem. News then came from US Secretary of State Hilary Clinton that the US Air Force was delivering a cargo of liquid coolant to the plant via a local air base. According to New Scientist magazine, the reactor in question was “thought to be a boiling water reactor, so the coolant is likely to be demineralised light water, meaning it is depleted of the hydrogen isotope deuterium.” As a result of this incident the Japanese authorities evacuated over 3000 local residents 3km radius of the Fukushima plant. The situation is still ongoing. Japan’s Meteorological Agency and USGS say the earthquake occurred at a depth of 24.4 km and was caused as a result of thrust faulting on or near the subduction zone between the Pacific and North America plate boundary. Due to this displacement a tsunami with an estimated height of 10 metres was created. 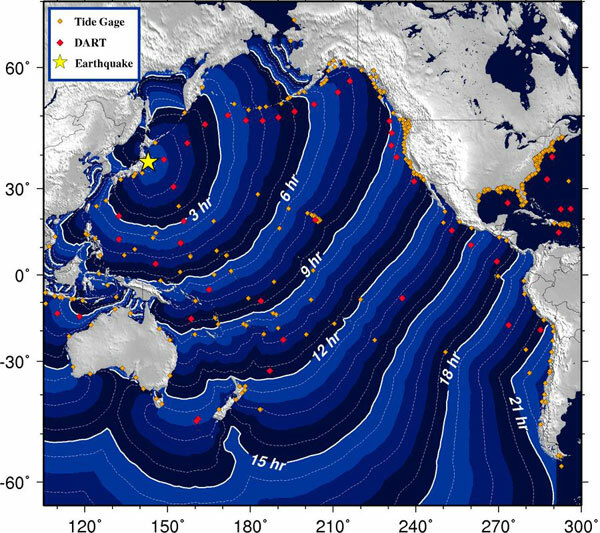 This map from the US National Oceanographical and Atmospheric Agency shows when the tsunami is expected to hit land across the Pacific. More informations will be added as it becomes available.